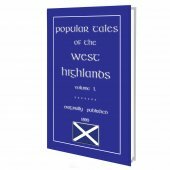 A MOST UNIQUE COLLECTION OF FAIRY TALES! 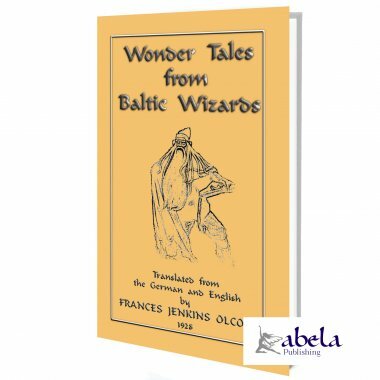 In this volume you will find tales of Enchantments, Wizards, Witches, Magic Spells, Nixy Queens, Giants, Fairy White Reindeer, and glittering Treasures from the Baltic Lands -- Lapland, Finland, Estonia, Latvia, and Lithuania. The selections in this book come from German and English sources. There is a mass of East Baltic folk-lore from which to choose which gives but a feeble idea of the extent of Baltic folk-lore. Their setting is the Long Winter Night with its brilliant play of Northern Lights over the snow-covered tundra; or the brief Arctic summer--its sun burning night and day--with its birds, flowers, insect-clouds, singing waters, and almost tropic heat; or the golden sunshine of the southern amber coast. But it is the Northern Lights themselves, flashing and flaming through the dark heavens, that cast their mystic weirdness over many of these tales moulded by the peculiar imagination of the Asiatic and European East Baltic folks. The farther our stories draw south from Lapland, the lower sink the Northern Lights and their influence on folk-tales, till at last they merge with the warmer lights of Lithuania - the amber-land. 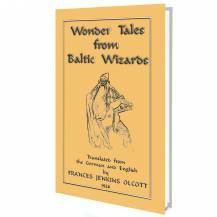 Wizards and wizardry abound in Lappish, Finnish, and Estonian tales, Witches appear more often in Latvian and Lithuanian ones. And in all these countries except Lapland, many European folk-tale themes, which we know in the Grimm collection, are found in new forms. A KING had a son, and he had a kitchen girl. Her coat was made of three wooden boards. One Sunday came, and Kari Woodencoat carried the washwater in to the King's Son. As she was shutting the door, the King's Son threw some drops of water at her. "May I go to Church?" "NO! Stay in the kitchen and mind the dinner." The Cook was afraid that Kari Woodencoat might start for Church, so she emptied a cask of grain on the ground. Kari Woodencoat must pick up every kernel! She called the little birds to help, and they picked up the grain. Then she dressed, and went to Church. She had a horse with a copper rein. Just when the Pastor said Amen, she went out, the King's Son after her. He asked her where she came from. Sunday came again. Then Kari Woodencoat took the hand-towel in to the King's Son. She was closing the door, the King's Son threw the hand-towel at her. The King's Son again went to Church.  Kari Woodencoat asked whether she might go to Church. "NO! Stay in the kitchen and cook the dinner." The Cook emptied a cask of grain on the ground. Kari Woodencoat must pick up every bit of grain from the cask! She called the little birds to help, and they picked up the grain. Then she dressed herself for Church. Her horse had a silver rein, and her dress was clasped with silver clasps. When she came to the Church, the King's Son had no time to listen to the Pastor's sermon. He looked at the girl. Just as the Pastor said Amen, Kari Woodencoat went out, the King's Son after her. He could not stop her. She climbed into the carriage and whipped up the horse. Then the King's Son called: "Where do you come from?" When the people got back from Church, there was Kari Woodencoat clattering around the kitchen in her wooden boards. The third Sunday came. Kari Woodencoat took the comb in to the King's Son. Just as she closed the door, the King's Son opened the door and threw the comb at her. It was again Church time. All were starting for Church, even the Cook. Then Kari Woodencoat said: "May I go, too?" "NO." She must stay in the kitchen and mind the dinner! The Cook emptied a cask of grain. Kari Woodencoat must pick up the grain. Then she called her little birds to help, and went to dress herself. Her horse had a golden rein. And she herself had golden clothes, and golden shoes on her feet. When she went into the Church, the Church lighted up. There she was dressed all in gold! The Pastor said Amen, and the golden girl went out, the King's Son after her. 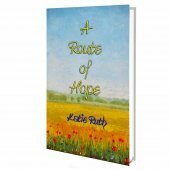 He reached for her feet before she could climb into the carriage. A golden shoe was drawn off her foot. The King's Son asked her from where she came. When the people got home, there was Kari Woodencoat in the kitchen, dressed in her three wooden boards. Then the King's Son made his father write to all kingdoms, to ask if Washbasin Land was anywhere. Then he wrote to ask if Hand-towel Land as anywhere. Then he wrote to see if Comb Land was anywhere. Then he got together all the women to try on the golden shoe. But it fitted none of them. So small a foot the golden shoe fitted! The Cook chopped off her toes and her heel, and tried on the golden shoe. And the golden shoe full of blood! Then the Cook cried out: "If I had those birds here, I would chop them!" After that Kari Woodencoat had to try on the golden shoe. THE MAGIC DRUM CALLS YOU!